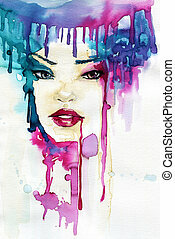 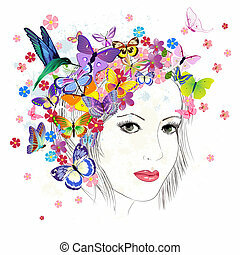 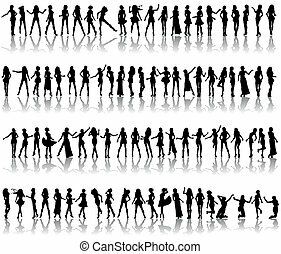 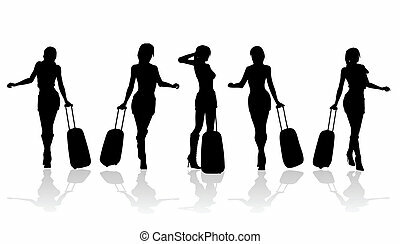 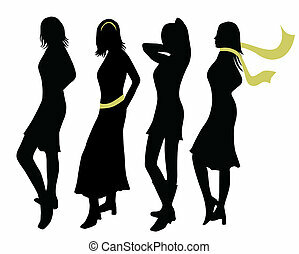 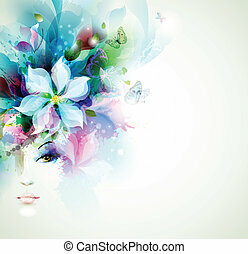 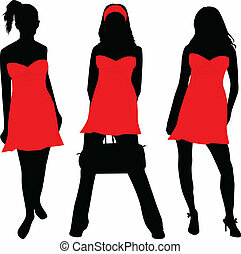 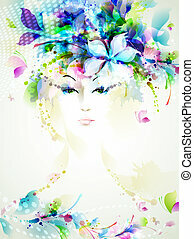 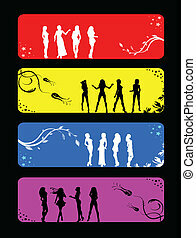 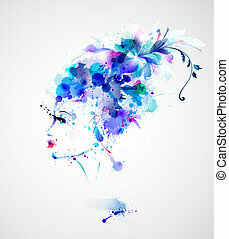 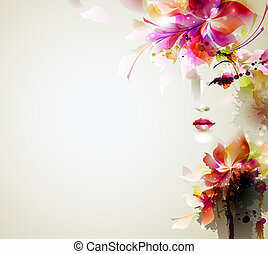 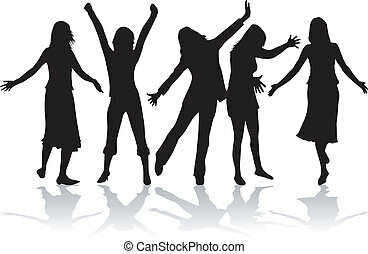 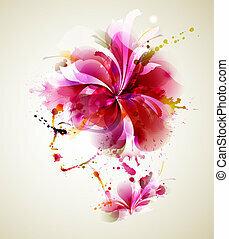 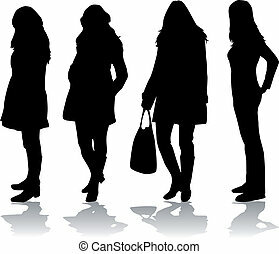 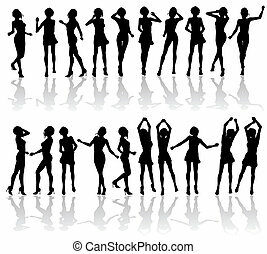 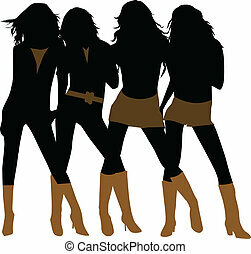 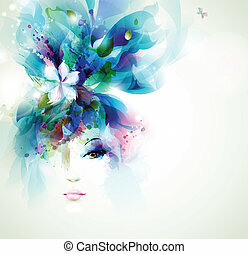 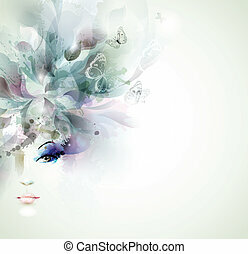 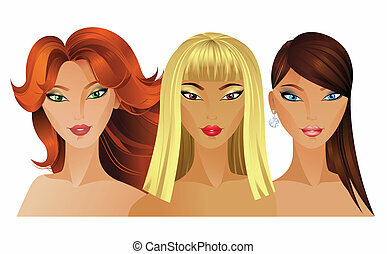 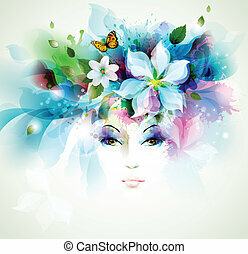 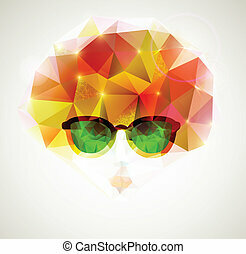 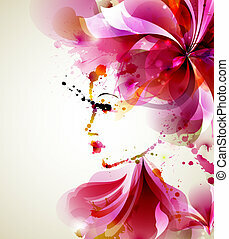 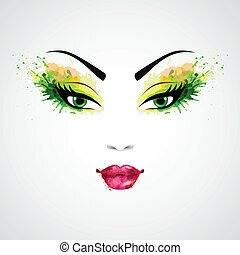 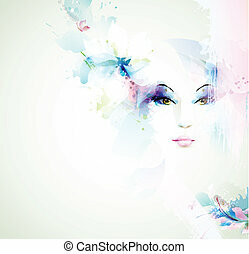 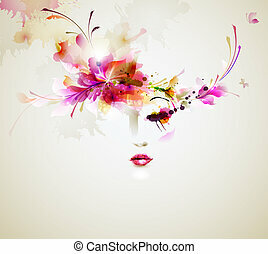 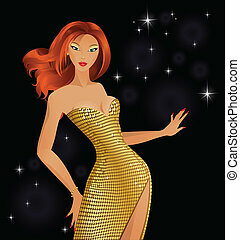 Beautiful fashion women face with abstract design elements. 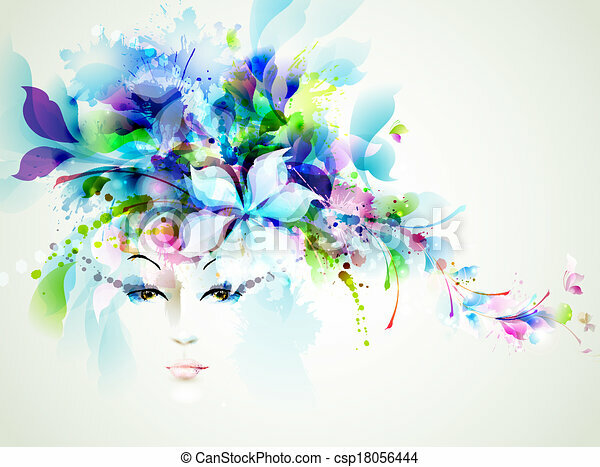 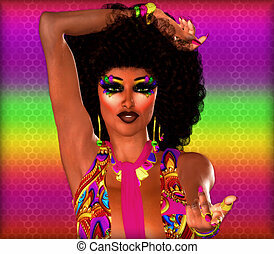 Wow, this colorful image of a chic woman in a retro outfit wearing an afro hairstyle is a statement of beauty, fashion and confidence. 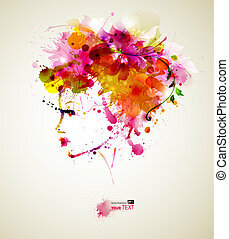 A colorful abstract background and her inviting hand gesture complete the scene. 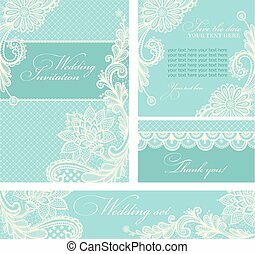 Set of wedding invitations and announcements with vintage lace background.